We’ve been patient, we’ve waited, we even put up with ridiculous delays…but the time has finally come. 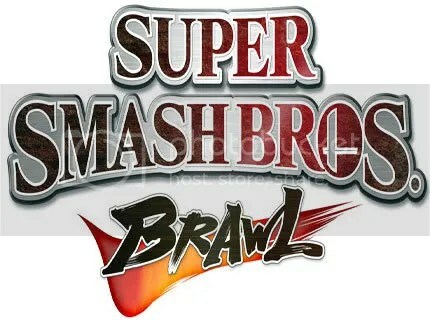 Nintendo has finally released the LONG awaited Super Smash Brothers Brawl. The premise of the Smash Bros. franchise is simple: Take all of Nintendo’s iconic characters, and some lesser ones, and have them beat the crap out of each other. Simple? Well some of the best things in life are simple pleasures. Fun? Unbelievably so. I have spent, probably, an inordinate amount of time with this game and not a moment of it is regretted. The gameplay is much the same as past iterations, though many of the glitches that were exploited in Melee have been incorporated into the game or fixed. The first thing anyone will notice upon starting up the game is the updated roster. Many new characters have joined the Brawl this time around ranging from Fire Emblem: Path of Radiance hero, Ike to an unnamed Pokemon Trainer. However the and truly amazingly unique feature of this entry is that it actually features two characters not from a Nintendo series. Konami’s flagship war-torn soldier Solid Snake takes on the like of Mario and Pikachu armed with claymore, landmines, and rocket launchers. As if Snake weren’t enough, the battle to end all battles can finally, after years of dreaming, take place. Fans will finally see Mario duke it out with his lifetime rival Sonic the Hedgehog. Solid Snake, Mario, and Sonic the Hedgehog…Life is good gamers. Life is good. Aside from the new characters, new stages, items, and features have been added. Long awaited and hoped for Online play is alive and well in Brawl, offering smooth connections with minimal lag. One new item offers a whole new degree of strategy to the game in the form of Smash Balls. Upon picking one up your character will perform a ‘Final Smash’ super move that will deal out heavy damage and often result in an instant K.O. As per tradition, Brawl features an adventure mode dubbed “The Subspace Emissary.” In past versions of Smash Bros. the adventure mode has been fun to visit, not to stay. That has been completely changed with Brawl. Subspace Emissary is practically a game all its own. It’s fun, engaging, and flows smoothly with the battles. The only complaint I had was the lack of voice acting for characters who actually have voices, such as Star Fox or Meta Knight. All in all, the game is a must have for any Wii owner. It’s fun, action packed, and has great online play. If you own a Wii, but don’t own this game, you’re a damn fool. So here we go Game On fans, the part you all love: Nintendo’s Super Smash Brothers Brawl very easily earns a 9 out of 10.